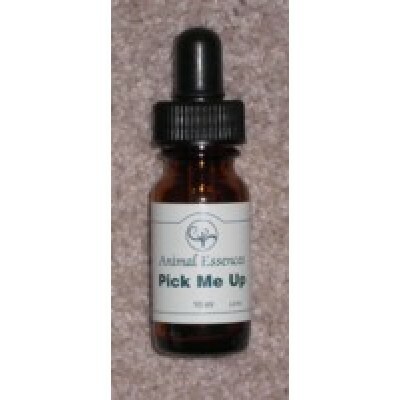 Pick Me Up essence is for all animals who have lost their spark, or for those times when extra energy is needed: Lethargic. Out of sorts. Loss of appetite. This essence is one of the Gaian Essences (planet Earth) because who better than Gaia to help her own? Can be used on any animal. One drop on the Feeling Centre (stomach or chest area) or 3 drops in the drinking or bath water. As with all of the Animal Essences you cannot overdose, so use as often as you like. 7 drops externally across the back of the neck like a collar to reach all of the energy pattern quickly.